The following article aims into installing and configuring a simple POP3/IMAP/SMTP mail server in your Debian VPS using Postfix, Dovecot and SASL. What is SASL? SASL, the Simple Authentication and Security Layer, is a generic mechanism for protocols to accomplish authentication. 3.) Create system user For handling incoming mails and has access to the mailboxes only. – You may want to check if your hostname/domainname is a valid FQDN (fully qualified domain name) and it has a valid MX DNS record. – Before we proceed any further we need to make sure we have a fully up-to-date system. # useradd vmail -r -g 2222 -u 2222 -d /var/vmail -m -c "mail user"
– the format is 2 columns. domain left, status right. if there is nothing on the right side, the domain is disabled. 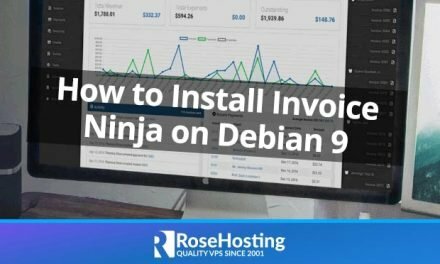 Of course you don’t have to do any of this if you use one of our Debian Optimized VPS Hosting services, in which case you can simply ask our expert Linux admins to install this for you. They are available 24×7 and will take care of your request immediately. 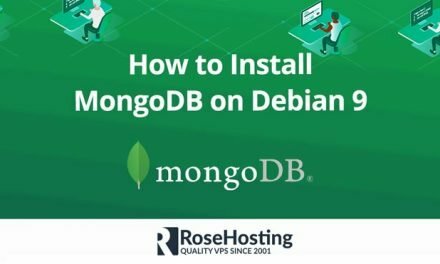 Following this guide on the Latest Debian learning this process, on step 7, Reload the services, I get the following error while restarting Dovecot. 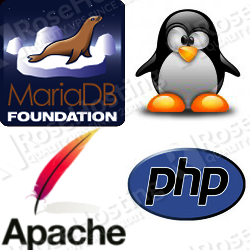 Try creating the ‘/usr/lib/dovecot/dovecot-auth’ file. what’s logged in your mail server log file? how did you try to send the email? did you complete all steps in the article? First of all, this article was really helpful. However, something went wrong with the vmail user. In your tutorial, you make this file owned by root:root and have a 600 mask, which causes this situation. Now I am confused. What do you suggest? Warning for everyone using Debian 7: The dovecot configuration in this article won’t work in Dovecot 2. I just tried it and it threw all sorts of warning messages about obsolete settings, then aborted because /usr/lib/dovecot-auth doesn’t exist. Also, the dovecotpw command doesn't exist in Dovecot 2, so you will have to use "doveadm pw". well, of course it will not work in Debian 7. This article covers setup and configuration of Dovecot 1. It will not work with Dovecot 2. Great job. Thank you for the article. It works great. 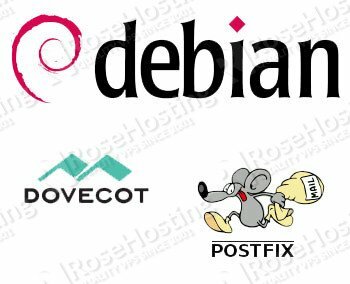 Is there any update to setup a mail server on Debian 7 (dovecot2)? we are glad you found the article helpful. We do not have an article for Debian Wheezy but we do have one for CentOS 6 here. Hopefully someone can help me here, I’ve spent hours upon hours trying to get a mail server working so far, starting with qmail, then sendmail, now postfix. If you want to enable secure network traffic using SSL transport, you need to use an SSL certificate, so generate a self-signed SSL certificate or purchase an SSL certificate (we offer Genuine GeoTrust SSL certificates up to 35% off GeoTrust’s retail prices at https://www.rosehosting.com/ssl-certificates.html), then copy/move your SSL certificate to some directory on your server, (for example /etc/sample-ssl/). host *********** [***. ***.254.17] refused to talk to me: 554 dropsmtpd – Your mail is being dropped as spam. May I ask what next? how can I send and receive emails after that? You can use some free email application like Thunderbird for example. Very Helpful , thanks for posting this great article ! !